Just for fun, stop for a minute and make a guesstimate. Think of family, friends, even acquaintances. How high did you get? One hundred? Two Hundred? Five Hundred? More? I imagine there are more than you think. Now think about a time when you were surprised to find out someone knew your name. Perhaps it was in high school when you were made aware of a certain young man/woman who knew who you were. Or as an adult someone you admired at a social event or in the workplace. With the popularity of Facebook and other social media more and more people may discover your name. Your “friends” list expands and more people find you through social networking. Whether it’s a long-lost friend or someone whom you’ve never met there is a certain curiosity when that balloon pops up and someone asks you to “friend” them. There can be a certain thrill to finding out someone new knows your name. And I think sometimes we find a bigger thrill when that person knows many other people. There’s something about being known in the midst of a crowd that validates us or makes us feel important. But do you know what I think is even more thrilling? The one who knows the names of billions of people (yes, that’s billions with a “b”!) knows your name! Just as He told Moses, God, who created the universe and each person in it knows your name and He’s happy about that! God doesn’t know your name because of a mutual friend or because you did something remarkable. He knows your name because He created you! God didn’t create you just to exist, but to do something special for Him that only you can do. You may feel unremarkable – You’re not. You may think you’re not good enough – You are. You are perfect for exactly what God has for you today. Don’t compare yourself to the others around you, and don’t allow yourself to feel insignificant. Whether your part today is big or small, you have an important part to play that only you can accomplish. The important part of life is not the number of people who know your name, it’s that the One who loves you more than anyone on earth knows your name and has important things for you to do today. Look for what God has planned for you today, reaching out to others, praying, or mopping floors. Whatever your part is today, If you don’t do it because you don’t think it’s important enough or glamorous enough, a peace will be missing in the puzzle of life. As the new year dawns I find myself dreaming. Maybe you do to. We dream about what could be and how we’d like to see our lives. We paint pictures in our heads and on our hearts of what we could do “if only”. Cosby’s words made me pause in my dreaming for a moment. 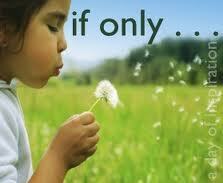 Instead of pondering “if only” I began to ask “what if”…. What if Sonny Rollins had only dreamed of being as good as the jazz artists of his youth? What if Benjamin Franklin had been content to only fly kites on sunny spring days? What if David had allowed fear to keep him from facing Goliath? They REACHED – refusing to keep their feet on the ground they reached deep inside of them for the faith to believe they could achieve in the midst of controversy, naysayers, even physical challenges. They reached beyond themselves for something greater. They SEARCHED – each of them searched their hearts and believed in themselves and the power within them that allowed them to accomplish something that they couldn’t on their own. They searched for avenues that had not been explored before and then they went in the direction they discovered. Along the way they found what they were searching for, and probably more. They CHALLENGED – although at times I’m sure their heads were telling them to quit and whispering that they would never accomplish what they were reaching for they continued to challenge the status quo. They challenged themselves to go after their dreams even when they weren’t sure they still believed in them. What if you went after your dreams to make them come true? While there are some dreams that we can’t really have control over (winning a new car/house/lots of money, etc), when our dreams line up with our gifts and God’s desires for us, they can become a reality. However, just dreaming about them won’t do it. Like all of the great musicians, artists and inventors we must be willing to reach, search and challenge ourselves and those around us who rain on our parade. When we commit our dreams to the Lord and have faith that He will show us the way and then are ready and willing to do the work involved to follow His plans, we will see them come true. I encourage you as I have challenged myself to stop only dreaming and start praying. And as you are led, start making plans. Then, don’t give up! …and watch your dreams come true. If you’re willing, share with us what you’re dreaming of so that we can encourage you and pray for you as you go after your dreams.